Outside, it’s a balmy Tuesday night, but it’s chilly in here at the Ice Zoo. A bearded man tipsily goes past on razor-sharp ice-skates towards the gents on the bench. Next to them, I take in the scent of hockey-padding not washed since the first game of the season. That’s five weeks ago now. “Man, you nearly chopped off my toes!” laughs a guy in ugg boots to the skate-walker. Welcome to the Beer Leagues of Australian ice hockey. The Beerginners League to be precise. Tonight the Erskinevillains will take on the Boozehounds. At 6pm I met the Erskinevillains at the The Erko, their sponsor, where they’d already managed a few brews before we took the minivan to nearby Ice Zoo. I had no idea there was an ice rink in the industrial back-lots of Alexandria. “I literally hear that comment every single week,” says Logan Russell (29) who moved to Sydney from Martha’s Vineyard, Massachusetts two years ago. 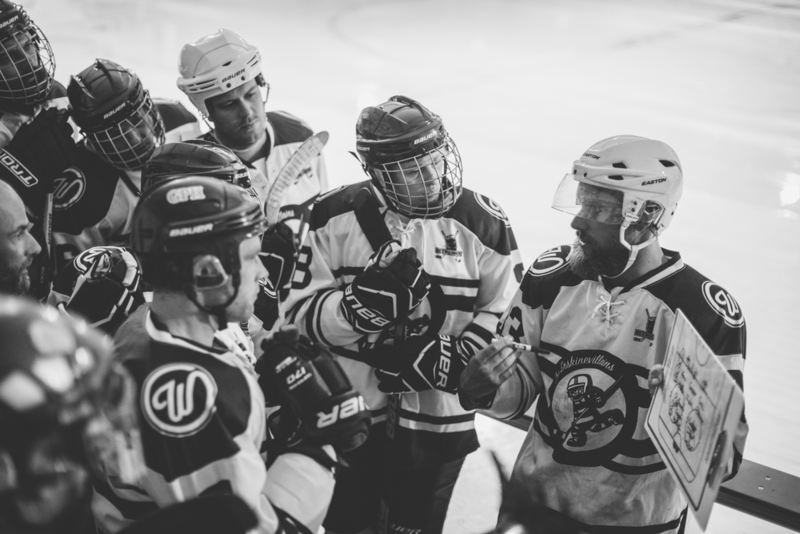 A Hockey fanatic, Russell noticed there wasn’t a league for players who were enthusiastic but didn’t have the chops for the semi-professional Australian Ice Hockey League (AIHL). So, having drunk his first beer only two years before, he began The Beerginners League. 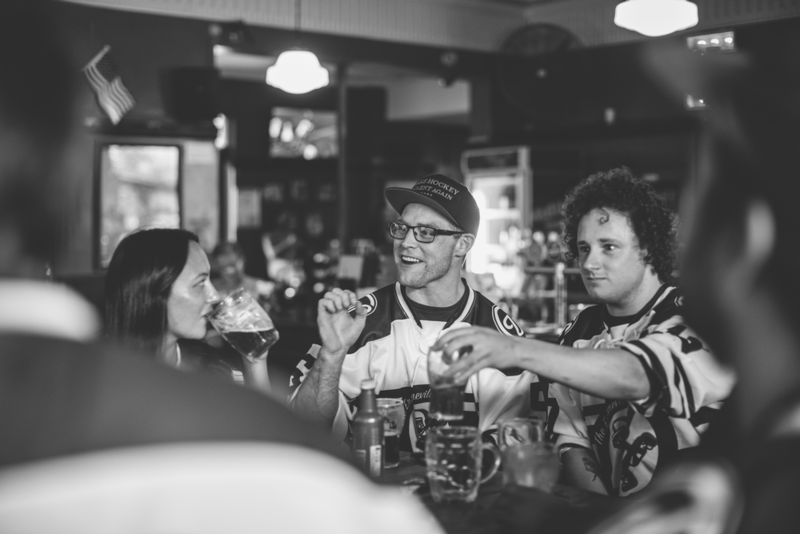 With sponsorship from Wayward Brewing Co and AIHL’s Sydney Ice Dogs, the League started with four teams: the Wayward Sons, the Mascot Jets, the Mighty Drunks, and the Trash Pandas. Russell then met two barmen from The Erko, Davey Beckingham and Jeremy Collins-Galagher. They’d been using the quiet daytime on the ice before their shifts, along with other local hospitality staff, to build up their skating skills. Through their friendship the Erskinevillains were born, making The Erko the spiritual home for pre and post-game Beerginners. Last season the Erskinevillains came last but this season has seen a real turn-around. Five weeks into the season already and so far undefeated, they’re on the top of the ladder. Drinking on the sidelines, it looks a tough hour out on the ice and at times tempers between the two teams fray. The heavy puck jolts me everytime it bangs against the rink walls. Players, padded up though they are, often hitting the walls, netting and other players in sprays of sweat-soaked ice hard. It seems a big exertion for a school night. 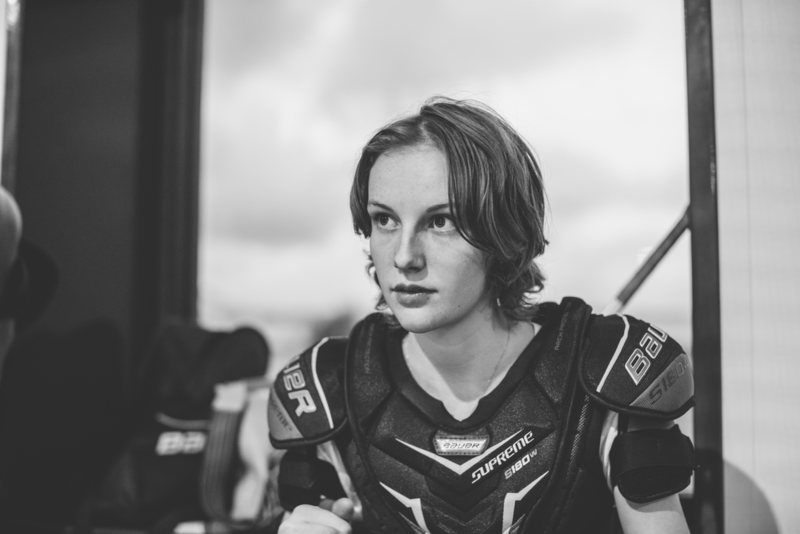 While lucky players like Beckingham keep hospitality hours others, like Erskineville local and goalie Roxie Leu, one of the four female Erskinevillains, have to turn up sore at the office at 9am. Injuries aside, Russell says, “It’s been a really cool experience for so many adults, to be active and fit and have a community back them up. Some guys have lost eight pant sizes! Meanwhile on the ice, the Boozehounds have managed to break the Erskinevillains winning-streak, defeating them 4–2. Back at The Erko, the pub comforts them with a feast of beer, nachos, chicken, and a huge tray of Poutine – a French-Canadian non-halal-snack-pack of pork, cheese and chips. Jugs of beer do their job, soothing bruises and cramps until morning, and the nachos soak up the evening’s ales. The team’s stoic about their loss and feel it will drive them to get back on top next week. If not, there’s always the Poutine.